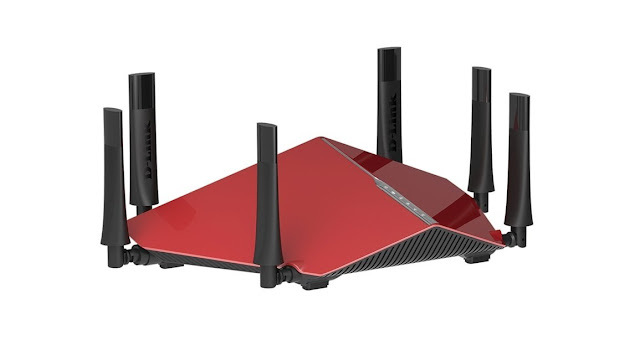 Featuring advanced technology, the D-Link Tri-Band Gaming Router delivers remarkable speed and easy connectivity for all your devices. It is designed with the Tri-Band technology to deliver an amazing gaming experience. 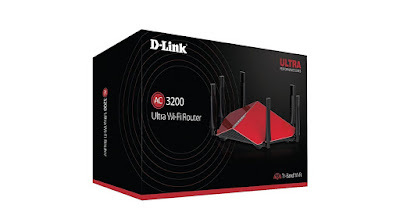 The D-Link Router ensures that despite multiple devices connected to it, you can still play hi speed games on your Xbox or any other online gaming services. The router has a 2.4 GHz wireless band that offers 600 Mbps and two separate 5 GHz wireless bands to speed up the performance by 1300 Mbps. It enables you to enjoy lag-free performance while playing or 4K media streaming throughout the place. This gaming router comes with Smart Beam Technology which improves the coverage by directing the bandwidth to your devices while you are moving around the place. You can smoothly connect with your family and friends via Skype or play games online without any disturbances. For optimal performance, it automatically makes intelligent traffic prioritization to select the fastest Wi-Fi range for every device. There are six external antennas to offer strong signal strength to all the devices which are connected with this device. The device is powered with 1GHz Dual Core Processor which enhances efficiency while playing games. It comes with NVIDIA Shield to give you a thrilling gaming experience. The D-Link DIR-890L provides a responsive graphical user-interface that enables you to make further customization as per your requirements.